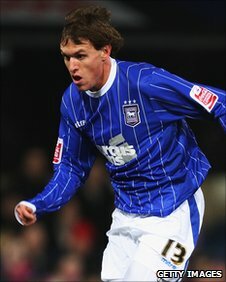 Ipswich Town winger Luca Civelli says he does not understand why he was frozen out of the side under previous boss Roy Keane. The 25-year-old found opportunities hard to come by early on this season after spending over a year on the sidelines with a knee ligament injury. "From one day to another I trained every day with the reserves," he told BBC Radio Suffolk. "And I don't know why because I didn't behave bad or do anything wrong." He added: "It was two or three very hard months because I expect to train with my team-mates." But the Argentine has stepped out of the shadows since Paul Jewell took over in January, making two substitute appearances in the last month. And after missing the whole of last season, he hopes to become a part of Jewell's plans for the future. "It's a massive change, I'm happy, it's like normal life again and I hope I can improve every day so I can then have a chance. "To the fans I can only say thank you. Since I came to this club the fans were very nice, after the injury they supported me every day. "Now I want to give something back to them."